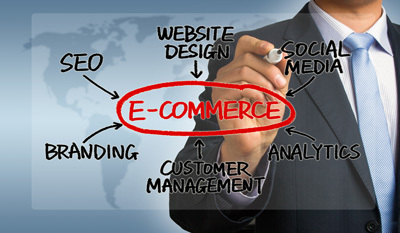 E-commerce has grown to be a reputable means used on the internet to achieve the process of buying and selling online. With Ecommerce integration on your site, you can sell just about any product you are offering to people through the internet. At Website Builder Australia (WBA) we have incorporated this into our web design services to ensure that you are served better. We provide high quality web designing scheme that has incorporated highly secured Ecommerce services for safe and secure online transactions. Our ecommerce services begins from setting up and operating web stores to online marketing, dispatching goods, managing receivable accounts, processing returns, and payment portal integrations and collection. Our E commerce portals and setups are highly proficient and with our professional website designers you are sure of maximizing the selling power of your online store.